Battlefield 1 released date is planned next month but some Reddit users are full of excitement as they have found that the game was pre-loaded onto their Xbox One systems already. That means that they can actually see the file size of the upcoming World War I game. 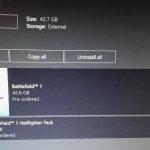 Reddit user posted a screenshot were a pre-ordered Battlefield game is seen together with the details of its file size on Xbox One. 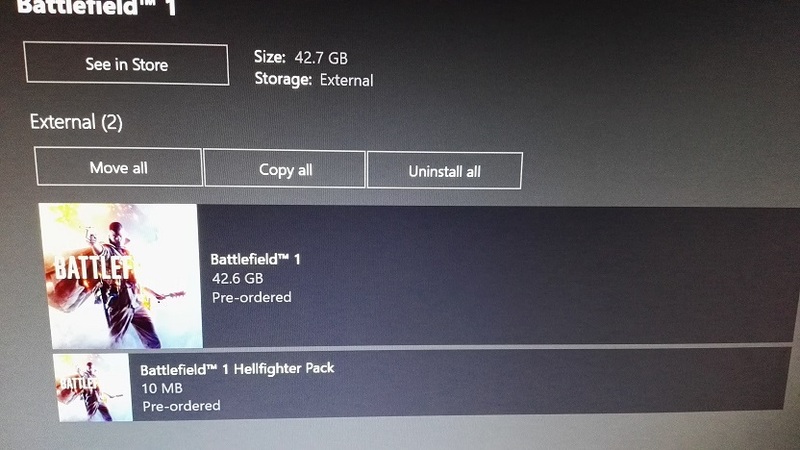 It is written that the size of Battlefield 1 for Xbox One will be 42.6 GB. A new trailer for Battlefield 1’s single-player campaign was released by EA recently. This campaign will have various characters in it, featuring the Bedouin woman fighter who we already spotted in the first trailer for Battlefield 1. Battlefield will be launched on October 21. The WWI game will be available for Xbox One, PlayStation 4 and Xbox One. Those who have subscriptions of EA or Origin Access will have an option to play game a few weeks earlier. However, they will still be able to see only limited content. This limited version will be available for 10 hours of play and will have 5 maps and 4 modes (while the full version of Battlefield 1 contains of 9 maps and 6 modes). Game fans that purchased Deluxe edition of the game will get an Early access that allows them to start playing the full version of Battlefield 1 three days before the official launch.